Indeed, the ongoing debate1 was the reason the eight-time Wimbledon champion's attire did not feature the RF Logo at this year's championship. The issue arose following Federer's switch to a new sponsor2, UNIQLO, after ending his long-running sponsorship deal with Nike in March 2018. While Federer has been using the RF Logo since 2006 and was even involved in the design process himself, it was Nike who registered the RF Logo as trade mark and thus have ownership of it and, in principle at least, the corresponding right to stop third parties, including Uniqlo and Federer himself, from using it. Accordingly, in the absence of any clause to the contrary in his sponsorship agreement with Nike, Nike retained ownership of the iconic symbol when the deal ended. This article examines the aspects of trade mark law that are relevant in the UK. It is worth pointing out that copyright will also exist in the RF Logo design and that, subject to any agreement to the contrary, that copyright will vest in person who designed it or that person's employer if it was created during the course of their employment. It seems likely that the RF Logo would have been designed by an employee of Nike and as such Nike will also own the copyright in the RF Logo. In the UK, the relevant law surrounding trade marks is relatively straightforward. Under the Trade Marks Act 1994, a trade mark's registered proprietor has the exclusive right to use and licence its trade mark. A trade mark can in essence be treated like an item of property. If Nike own the trademark, unless Nike agree to transfer ownership of the trade mark (by way of a trade mark assignment) or grant Federer sufficient rights to use the RF Logo (by way of a trade mark licence), from a purely legal standpoint, he has no right to use it. This is not the first time trade mark law has prevented someone from using their own name and it is now well established that a name can be separated into commercial and personal domains, and when used as part of a business, a name becomes an asset which can be traded and sold like any other good. Up to now, the two most well-known examples of this concern fashion designers, Karen Millen3 and, the designer of Princess Diana’s wedding dress, Elizabeth Emanuel4. Both designers sold their self-titled businesses and were subsequently stopped from using their own names for their new businesses. Trade mark law does provide what is known as an "own name defence" to claims of infringement.5 However, to rely on this defence the use of the name must be "in accordance with honest practices in industrial or commercial matters"6. Accordingly, it is doubtful whether Federer could rely on this defence should he continue to use of the RF logo without Nike's consent. It seems unlikely that Federer's continued use of the RF Logo would be considered "in accordance with honest practices" since he has a pre-existing agreement with Nike governing its use. It is also unclear whether the defence would cover his initials rather than his full name. It is important to note that we are not aware of the terms of the sponsorship agreement between Nike and Federer. The commercial agreement is confidential, and likely to remain so. Nike do appear to have a strong legal position. However, refusing to allow Federer to use the RF Logo could be a risky PR move, with negative repercussions in public opinion, especially amongst the Federer-faithful. The tennis player displayed his usual intelligent game off the court by making fans aware of the issue in his first post-match interview of this years' tournament and allowing the press to pick it up7. Federer made some rather emotive statements regarding the RF Logo in this interview, and although his claim may be on shaky ground legally, it is likely public opinion will be on his side. How to Ace it next time? So, what could Federer have done to avoid the issue and what are the key lessons for athletes? Register the trade mark in your name - The most obvious solution would have been to ensure that the trade mark was registered in his name (or his company's name). He could have then, as part of his sponsorship agreement with Nike, granted Nike a licence to use the RF logo for the duration of the sponsorship agreement. 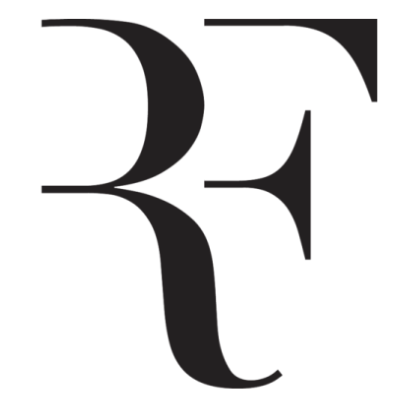 Indeed, it is slightly surprising Federer did not register the RF logo in his own name given he is the registered proprietor of several trade marks, including an EU trade mark for "Roger Federer." Use an assignment clause - Alternatively, if Nike had insisted on owning the RF Logo trade mark, the sponsorship agreement should have included an automatic assignment provision so that, once the sponsorship deal expired or if it were terminated by either party, the rights in trade mark are assigned to Federer. While Federer is not in the strongest position legally, given the potential negative publicity for Nike should they refuse, it seems likely Nike will agree to transfer the ownership of RF Logo trade mark (though perhaps not without charge). Federer may also consider raising s.46(1)(d) of the Trade Marks Act when he sits down at the negotiating table. As a result of that section, a trade mark is liable to be revoked where its use by the proprietor is "liable to mislead the public". Arguably, were Nike to continue using the RF Logo on its tennis clothing range, members of the public could be led to believe that the clothing is still endorsed by and/or has been designed by Federer himself. For more information on registering non-traditional trade marks, please see this article: Non-traditional trade marks in sports – an EU perspective8. 7† See footnote 1, above. 8† Manuela Macchi, ‘Non-traditional trade marks in sports – an EU perspective’, lawinsport.com, 1 April 2015, last accessed 8 Aug 2018, https://www.lawinsport.com/topics/articles/item/non-traditional-trade-marks-in-sports-an-eu-perspective? Dan Parkes is a solicitor specialising in intellectual property and commercial matters at Wedlake Bell LLP. Dan provides advice to a broad range of clients in relation to the protection and exploitation of intellectual property rights, sponsorship, advertising, endorsement, agency and distribution arrangements and general commercial and consumer law issues. This is revealing as well as educating. Clarifies a lot! thanks for the article!